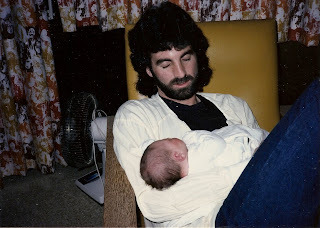 This is a photo of me catching some sleep immediately after Sarah was born. It would be the most sleep that I would have for the next five years, as Sue and I struggled against Sarah's sleep apnea and all kinds of stuff related to raising a child. It comes with the territory. 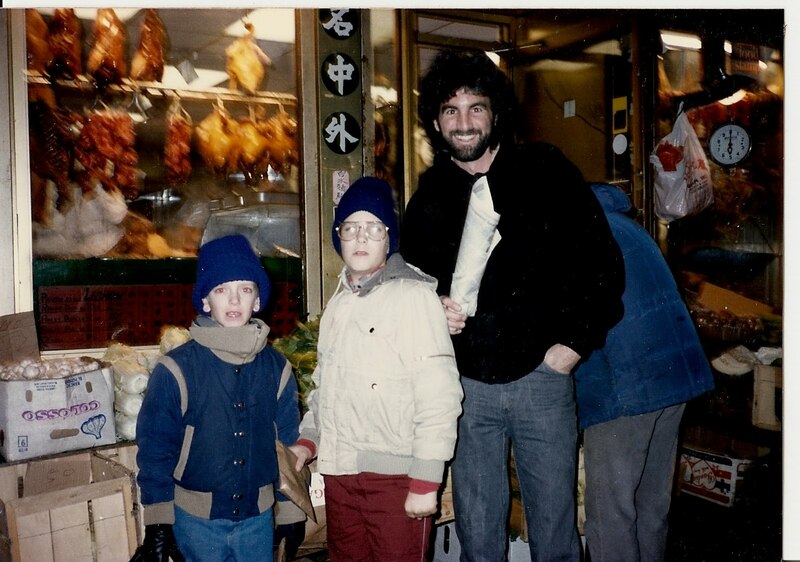 And though I wasn't always wise, and there were times in which I could have done better, I was always there. No one is ever really prepared for fatherhood. It isn't exactly thrust upon us, but suddenly you find yourself in it. And you do the best you can to balance yourself on the highwire of being a parent without falling off. And if you do fall, you have to get up, over and over again. It's just part of the territory. Of course, being a step parent was equally, if not more perplexing. 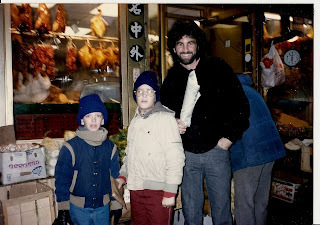 The rules with Keith and Shane (shown here in Chinatown, New York City, where I was trying to sell them in 1986) were even murkier and the lines mostly undrawn, but somehow we got through it okay. The jury may still be out on whose version of my parenting skills is more accurate, mine or theirs, but history will have to be the judge there. Currently though,I offer in my own defense, that they are both self supporting, live away from home and have given me the most beautiful grandchildren. All girls, but that's okay. It's the kind of crap shoot in which you just can't lose. So if you get lucky and you do it right, or even a little bit right, you get to see them grow up and make you proud. This is, naturally, one of my favorite photos of Sarah. Her smile is so radiant and her eyes are alive with promise. So here's to me, Happy Father's Day! Being a father was the hardest, yet most rewarding thing I have ever done. With all thanks due to Sue, of course, and the kids, too.